Our range of products include ribbon blender, twin drum mixer, v blender, cone blenders, spice blender and kneader machine. 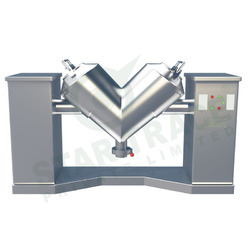 The Ribbon Blender is one of our precision engineered range of Blending Machines that incorporates U shaped container and sturdy and horizontal ribbon agitating blades. 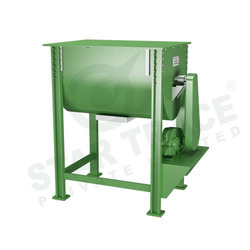 These are highly efficient in blending solid and solid material and achieve excellent cohesion and uniform viscosity. 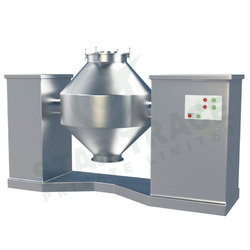 It is easy to clean and used extensively in food, pharmaceuticals, mining, and many more industries. We use the finest components and other raw materials to manufacture this under rigid quality norms and offer at reasonable rates to our clients. 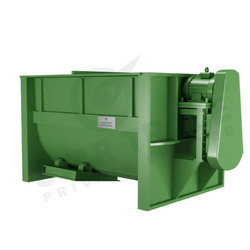 Twin Drum Mixer consists of twin drums with two counter rotating rotors and specifically angled paddles. The rotors overlap in the centre of the mixer and the paddles completely sweep the bottom and mix all the material at the same time. 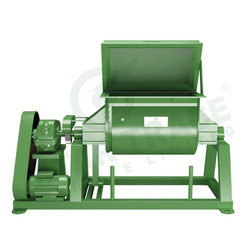 In zone b the materials have a main movement counter clockwise at the perimeter of the mixer. Simultaneously there are movements in the fluidized zone a both up and down, left and right and back and forth, all the time with space between the particles allowing free and random movement. The interaction of the two zones is the key to the unique mixing technology as all particles are transported into a highly homogeneous mix. Mixer is very flexible in filling volume. The model number indicates the nominal filling level i. E., the level just above the rotor shafts, and is not to be mistaken for the total mixing volume. From our nominal filling level of 100% variations from 40% to 140% can be tolerated with the same perfect mixing results. The mixing time may be a few seconds longer than normal when mixing very small or very large batches. All contact parts are made out of quality material. All joint argon are welded, ground and polished to mirror finish from inside and malt finish from outside. motor : 1 hp, 2 hp, 3 hp, 5 hp,7hp,10hp gear box shall be standard make. all required electrical switch gears are of standard make. general structure shall be made out of m.s. & s.s. The spice blender is made of high quality stainless steel. It is widely used in the whole production line of fried food, such as potato chips, onion chips, etc. It can season any kind of food. And can mix the raw material and flavour evenly in the short time. 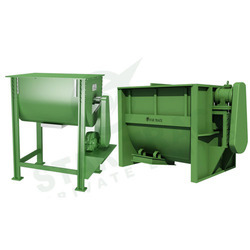 The Blending Machines can be availed by our valued patrons.They are made using the best grades of metal alloys and consist of sturdy components for enhanced life span and superior performance. These are provided with U shaped containers housing double or triple layered ribbon blades for excellent output with remarkable viscosity as well as cohesion. 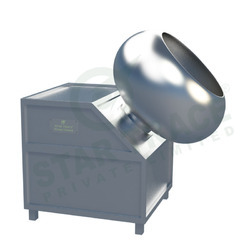 It is widely acclaimed for greater co-efficient of loading and can be availed at reasonable rates. Looking for Blending Machines ?